All serious mountain hunters consider Caucasian tur as the must to have trophy. Sergei Shushunov and Russian Hunting LLC will organize hunt for this unique animal. Caucasian tur is found only along the ranges of Caucasus mountains at altitudes between 2,000 and 4,000 meters (6,500-13,000 ft.). With it’s distinct look it resembles both, a goat and a sheep and is classified as a goat antelope. Tur is a nocturnal animal, foraging in the open at night and sheltering during the day, usually in almost inaccessible places. Females live in herds of around ten individuals, while males are usually solitary. There are three subspecies of Caucasian tur. West Caucasian (Kuban) tur is found in Russia and Abkhasia. This tur has a chestnut coat with a yellow underbelly and darker legs. 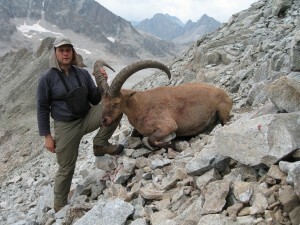 The horns are scimitar shaped and heavily ridged. 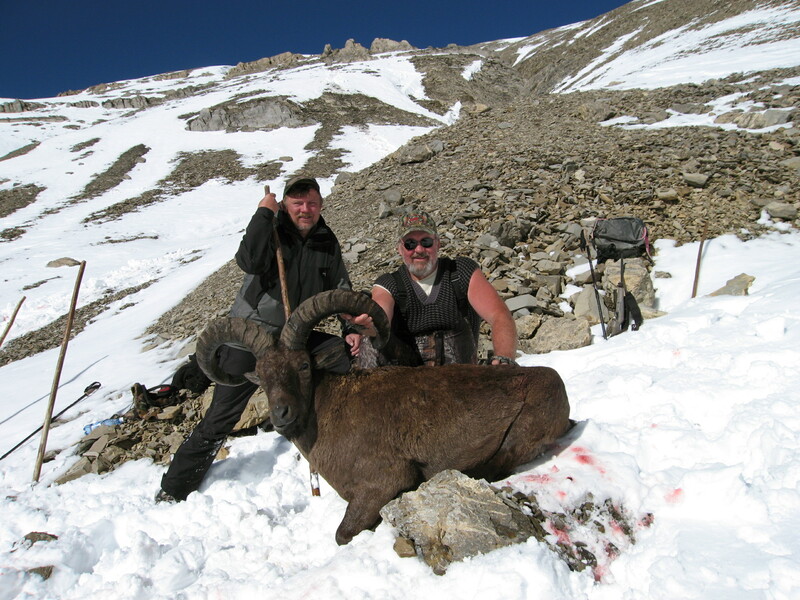 Hunting is extremely difficult due to high elevations and very precipitous terrain, which precludes use of horses for the most part of the hunt. East Caucasian (Dagestan) Tur is found in the Russian republics of Dagestan and Northern Ossetia as well as in Azerbaijan. It has somewhat smaller, but otherwise similar to Kuban tur body, usually with larger, lyre shaped horns. 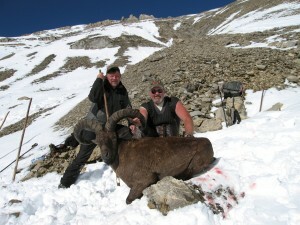 Dagestan tur hunting is usually a little easier than hunting Western tur.